I know I've featured cone flowers on the blog before, but I just really like them! They're such neat shapes, bees love them, and they remind me of my grandma :) Do you have a flower you just can't get enough of? I gave these out to people helping with the move. Fewer questions = less stress! Hi all! I'm so excited!! We are moved into our house and getting everything unpacked. I have lots and lots to do and share, but I feel like I need to get my ducks in a row first. So, I'm going to take a few weeks off to ease some of the stress. I'll still be doing my weekly Saturday Snapshot posts, and I'll be back with regular weekday posts again at the beginning of October. But before I take time off, I wanted to share with you the moving plan that made things go oh-so-smooth this weekend. I found the basics on Pinterest (where else? ), but I expanded on the brainchild of blogger Shannon Brown from Find the Joy in the Journey. Brown's system labels and numbers each box with a corresponding sheet that details what exactly is in each box. Brilliant brilliant brilliant. If I need to know where anything is, I look in my handy binder and then find the box number that matches. To make my move go even more smoothly, I added a color coded system. Each area of the home we were moving to was given a color. Then, each box number was marked with that color and each piece of furniture intended for that room was marked with a coordinating post-it flag. No more questioning which chairs are for the dining room and which go in the office! To make things even clearer, I labeled the rooms at the new house and gave my moving helpers a reference sheet... just in case. Thanks for understanding my need for a break! I hope you all still visit on Saturdays, and I'm definitely planning on popping by your blogs while I'm on hiatus :) Take care!! 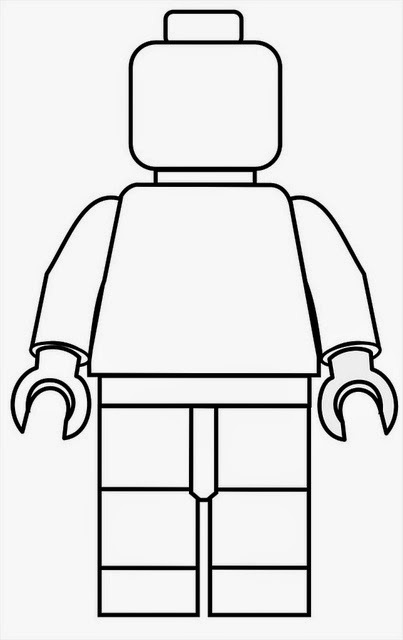 What would you write on your Lego person? Last month, I read Bless Me Ultima, and it was a wonderful story. I highly recommend it, especially to anyone who speaks or reads some Spanish. It was a great glimpse into another culture. Something always gets me when a story is told from the perspective of a child! I'm so excited to read the book I've picked for this month: Black Boy, by Richard Wright. It is the story of Wright's life, and I'm sure it will be haunting and a wonderful read.